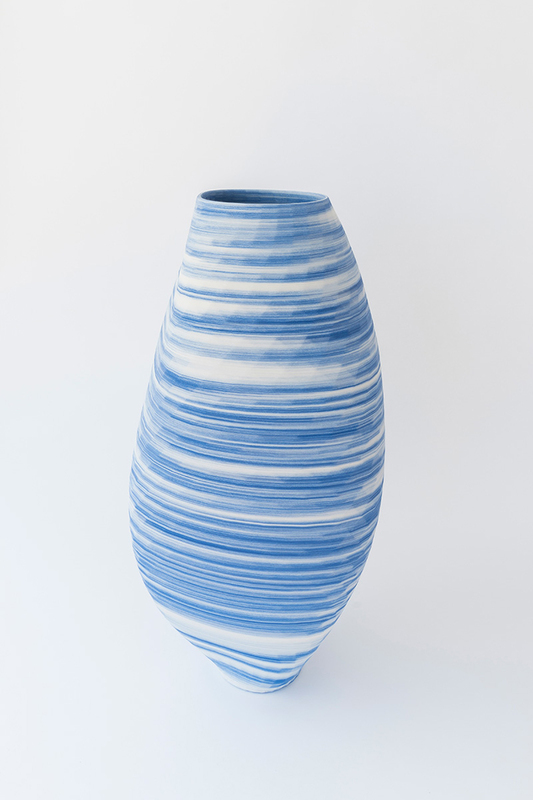 The “Blue and White” series is a collection of 3D-printed porcelain vases designed by Olivier Van Herpt. 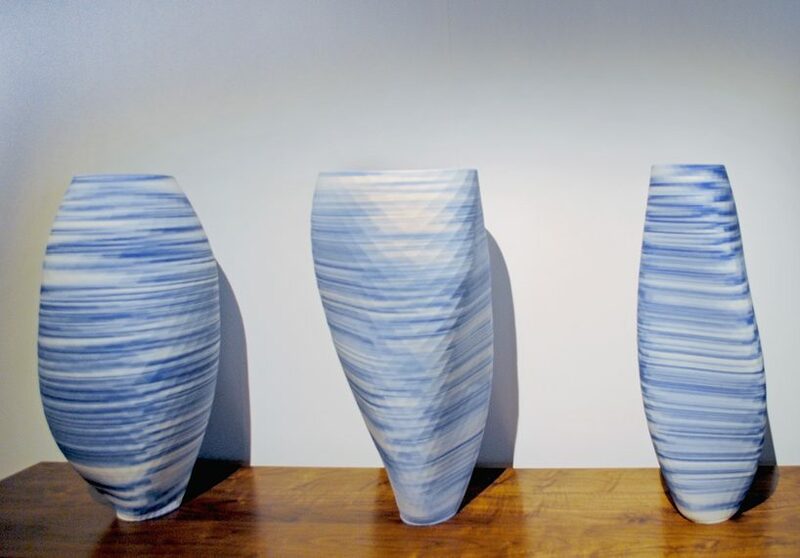 The collection contains 3 blue and white vases varying in shape and pattern each roughly 27 inches tall. The vases have a very thin wall body due to the way they are produced. Each vase is created by a 3D-printing machine developed by the designer, Olivier Van Herpt, with the capability to produce a hard clay body that maintains its form during printing. Inspiration for the vase design, in terms of style and color, sprung forth after Holland’s famous Delftware / Delft Blue decor, initially made as an affordable alternative to expensive Chinese porcelain. The 3D-printer uses multiple fine layers of clay to create the shape, then a cobalt pigment was applied by hand before being placed into an extruder then reconstructed by the 3D printer. The “Blue and White” series was presented by Galerie VIVID at Design Miami/ Basel 2018.